Dogwood is a popular ornamental tree with its flowering bracts, elegant foliage, and bright red fruits. These plants are relatively hardy but they do have their Achilles’ heels. We have all heard the fables about how even the smallest can bring down the mighty. This is true with a host of fungal and bacterial diseases of dogwood or tiny insects that may infect or infest your dogwood tree. The issues affecting dogwood trees are too numerous for this writing, but we can cover some of the most common dogwood problems. Dogwoods need fertile, moist soil with good drainage. They are understory trees and require dappled lighting with protection from the hottest rays of the day. But even plants with good site conditions, annual fertilizer and adequate water may still encounter dogwood tree problems that destroy their health and vigor. Dogwood anthracnose is one of the most common fungal diseases to attack this plant. It starts out with blighted leaves, showing purple margins and tan color around the edges of leaves. Secondary signs may include cankers on twigs and smaller branches. These gradually extend to the trunk of the tree with necrotic weeping areas. 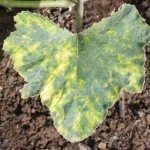 Spot anthracnose, septoria leaf spot and powdery mildew are all conditions that affect the leaves. Root rots and canker disease abound and thrive in moist conditions. There are listed fungicides and bacterial agents to combat the various disease issues affecting dogwood trees. Check with your local County Extension office for help in treatment or contact a certified arborist. Hardly any ornamental tree is without its fans. Dogwood trees have several insects and their larvae that call the tree their home. Significant loss of vigor and illness can result when these tiny marauders invade in quantity. The dogwood borer is the most noteworthy pest of the tree. Larvae live in the cambium layer and their travel and eating damage the flow of nutrients and water. Often branches can die. Numerous scale insects are dogwood tree pests. The dogwood sawfly larvae feed on the foliage and the dogwood club gall midge causes spindle-shaped swelling on twigs. In large colonies, the only treatment is pesticide sprays to prevent loss of health in your tree. Read all the directions carefully and use a targeted formulation. Dogwoods do not respond well to drought or flooding. They need fertile soil, so in poor soils they will eventually decline. The foliage may burn or turn reddish in summer when there is insufficient water. Use mulch 3 to 4 inches deep and 3 feet around the trunk to conserve moisture. Just be sure it doesn’t touch the trunk. Speaking of trunks, the tree is susceptible to mechanical injury, which will open the gate to insect invasions or fungal issues. Most dogwood tree problems can be avoided by giving adequate care and choosing healthy dogwood varieties that are suited for your area.